The Desktop App is a cross-platform Java application (Windows, Mac OS) and uses a general developer certificate that applies to multiple platforms, not just Apple. 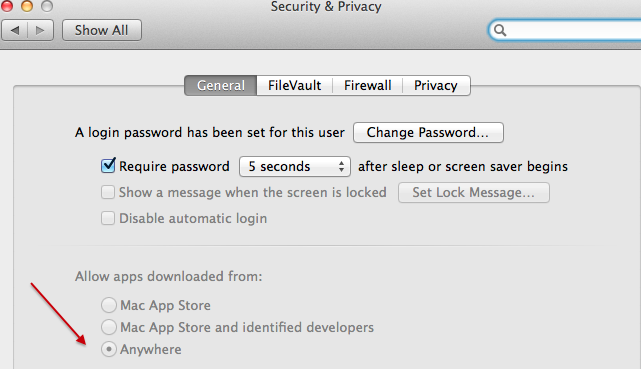 Gatekeeper, a security feature starting in Mac OS 10.8 will warn/prevent Desktop App installation based on some settings. By default Gatekeeper will only open apps purchased and downloaded from the Mac App Store or from a list of “identified developers” that use a Apple Developer ID rather than a cross-platform developer certificate. To install other apps, select the option to install from Anywhere. Always change Apple Gatekeeper settings back to Mac App Store or Mac App Store and identified developers when you are done downloading the Desktop App.